Hey guys! 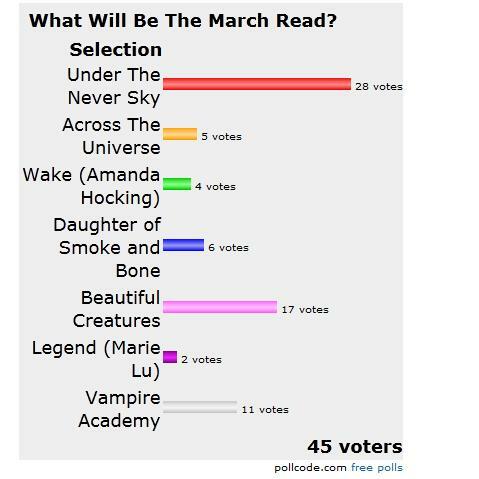 It’s time to vote for what we will be reading in March! I have compiled your suggestions into this poll so you can vote. Multiple votes are allowed. I have also added some books that are going to become movies soon! I will announce the winner February 21st. You have until February 20th to vote, and you can vote for multiple books once every day. 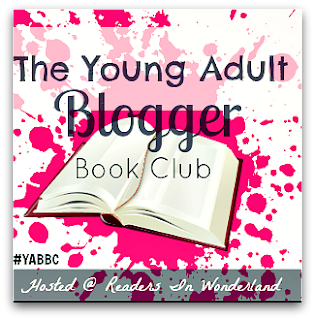 If you have not yet signed up for the YABBC and wish to participate you can read the rules HERE and sign up on the list below. If you have not already sent me your email, please do that! I will keep you updated on what you need to be reading and when the weekly questions are posted. As always, any questions, email me. I want to vote for Legend but I already read it, though I want to read Prodigy, maybe we can read Legend and then read Prodigy? Who’s the author of Beautiful Creatures? I found a lot of books by that name on goodreads. I looked through the sign up post but couldn’t find the author. Ok Kami Garcia, thanks I’ll look for it, unless UTNS wins lol. LOL why do you want that one so bad?